This certification mark indicates that the product has been tested to and has met the minimum requirements of a widely recognized (consensus) U.S. and Canadian products safety standard, that the manufacturing site has been audited, and that the applicant has agreed to a program of periodic factory follow-up inspections to verify continued performance. The MPU for Direct Fired Heaters, Electric Heaters, Indirect Fired Heaters and Untempered Units are ETL listed under file number 100746688COL-001 and comply with UL 1995 and CSA C22.2#236-05. 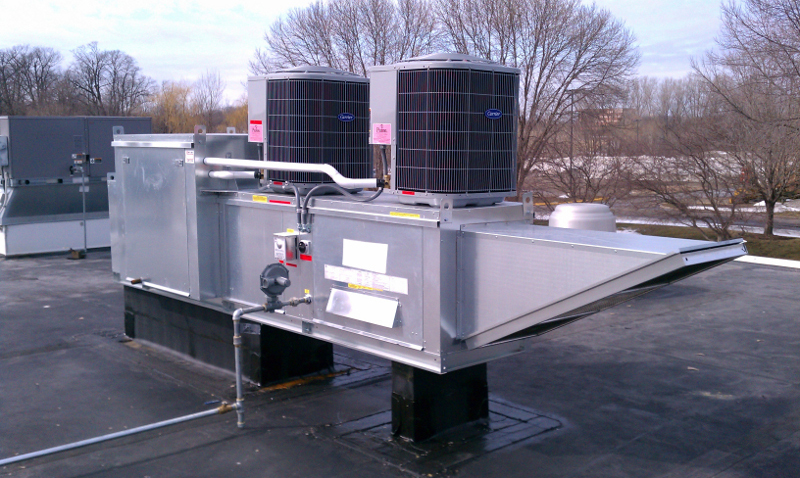 The MPU for Recirculating Direct Fired Heaters is ETL listed under file number 100746688COL-002 and complies with UL 1995. 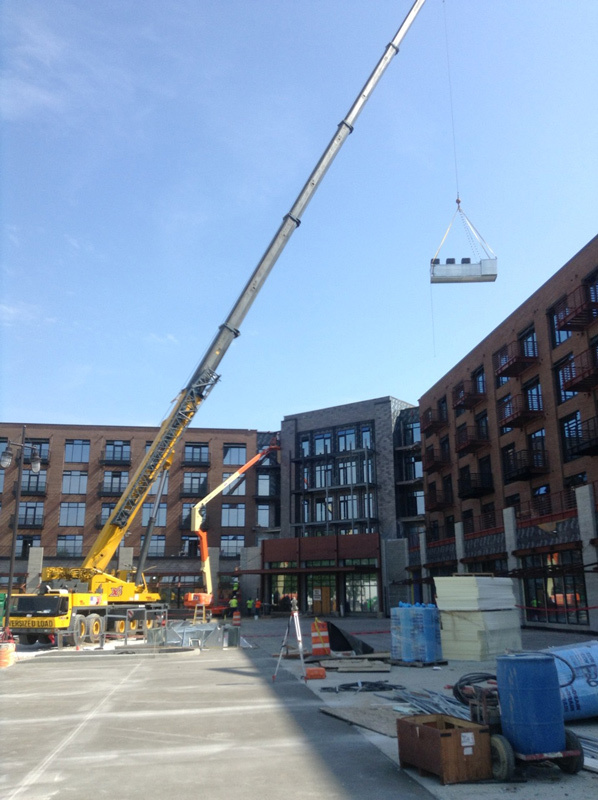 The Modular Packaged Unit (MPU) is designed to be a factory packaged air conditioning and heating unit for 100% Outdoor Air (OA) applications. 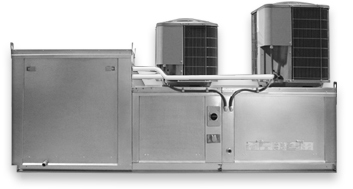 Units are sized to operate between 360 to 600 cfm/ton of cooling, depending on climate. 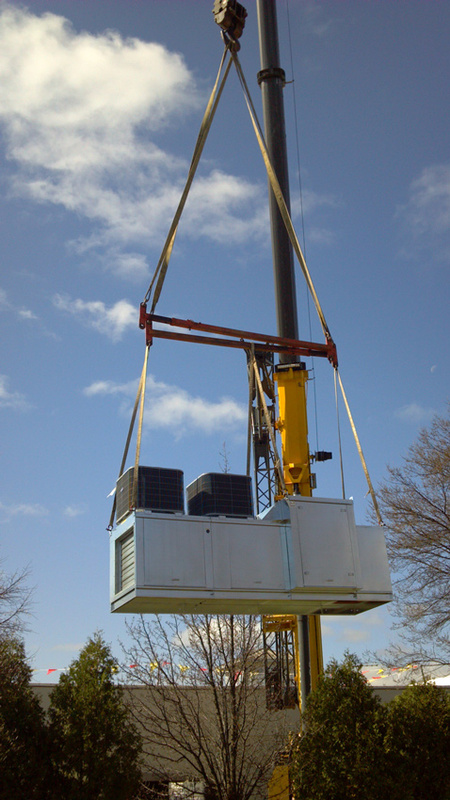 The modular packaged cooling unit is optimized to work in conjunction with highly efficient make-up air delivery methods, such as perimeter supply plenums. 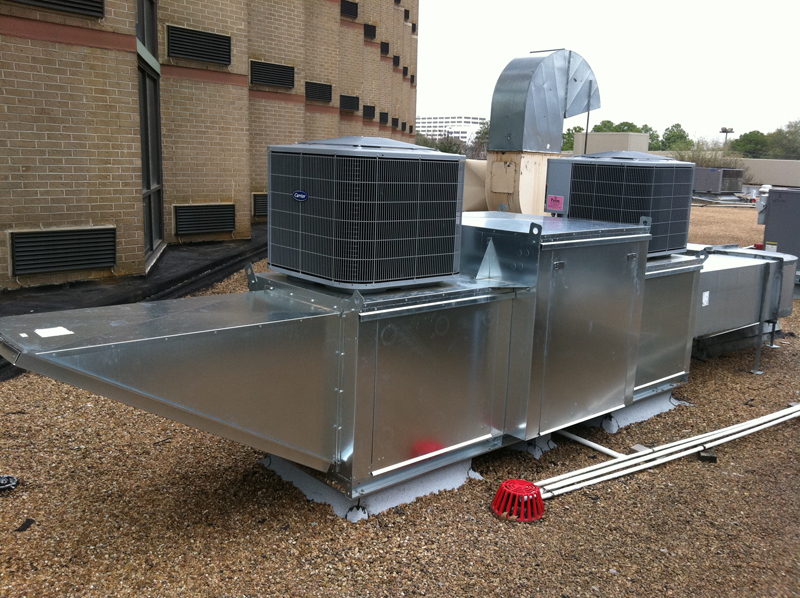 The unit can either have a down or end discharge, and can be used with both electric and gas heat. 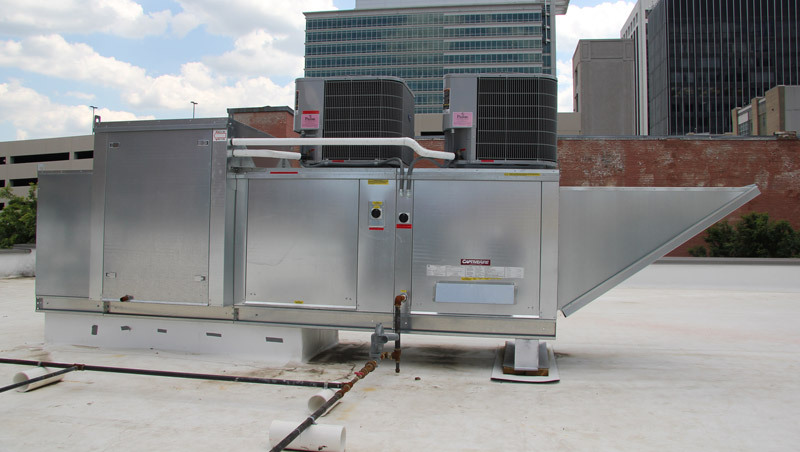 All refrigerant is environmentally friendly R-410A and condensers have a nominal SEER rating of 14 for greater efficiency. 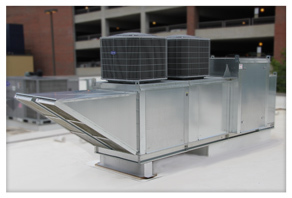 One benefit of this unit is the multiple cooling stages. 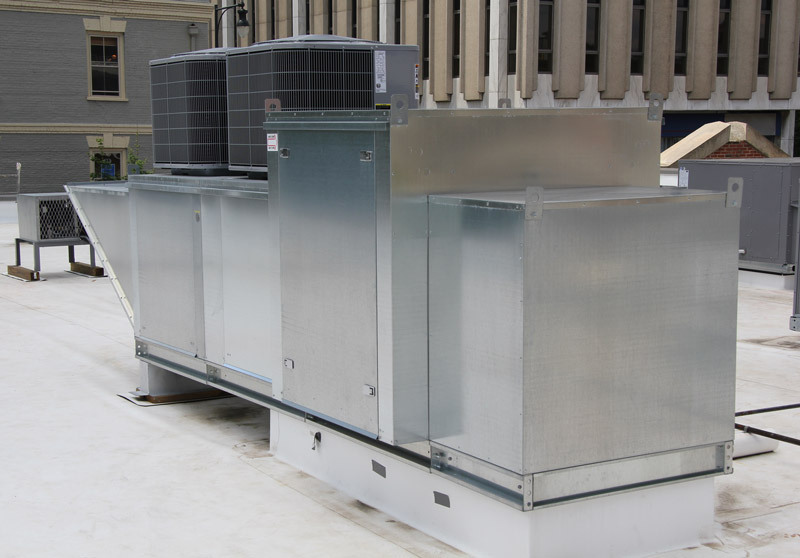 Multiple cooling stages increase the efficiency by not using 100% of the cooling capacity when this is not needed, thus allowing lower energy usage. An internal make-up air cooling thermostat automatically energizes the first stage when cooling of the make-up air is required. The same thermostat has a built in adjustable differential to energize the second stage of cooling when required. 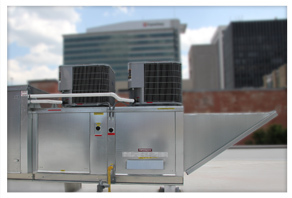 The condensers are top mounted on the make-up air unit to minimize roof space requirements, and are situated for optimal airflow and serviceability.